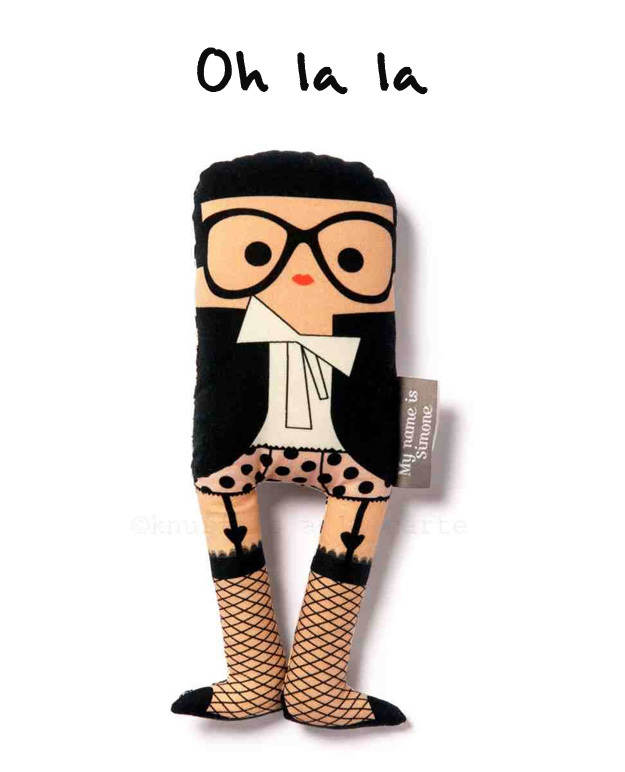 Knuffels à la carte blog: Chantal Thomass is back in stock! Chantal Thomass is back in stock! Oh la la! Miss C. (Chantal Thomass) is back in stock! She's waiting for you together with Karl Lagerfeld, Jean Paul Gaultier and Sonia Rykiel. Let's cuddle!! That's why I have an online cuddly shop and a cuddly blog. Apart from cuddles from my shop. I love to share beautiful cuddly creations from designers on this blog. Visit Knuffels à la carte's profile on Pinterest. Yeah it's weekend, cuddly discount weekend! Who dares to cuddle a condor? New! Frederic the frog prince! New! Smudge elephant & Smudge panda! Join our Karl Lagerfeld giveaway! New! Chi Chi, a Chines crested Jellycat dog! Let's cuddle the bunny boys! Knuffels à la carte . Thema Eenvoudig. Mogelijk gemaakt door Blogger.